Proper care of your dentures is essential to keep them looking their best. Whether you have a set of partial dentures or a set of complete dentures, you can be assured that taking some simple maintenance steps can make cleaning much easier. Dentures require a small amount of consideration, but it’s a habit you’ll quickly form. All told, dentures add just a few minutes to certain tasks. Once you get in the habit of removing and cleaning them regularly, you’ll find the ongoing care of your dentures to be fairly easy and hassle-free. Keep Your Dentures Clean! Proper Denture Hygiene Improves Breath, Comfort, & Quality of Life. Your dentures are the most intimate medical appliance that you will ever own. Nothing else, aside from perhaps contact lenses, spend nearly as much time in close contact with your body. Clean your dentures daily, and be sure to take steps after eating to rinse them. Remove your dentures and rinse them in cool or lukewarm water. This will wash away food particulates and other debris. Do not use hot water. Clean your tongue, cheeks, and palate using a soft-bristled toothbrush. Do this before reinserting your dentures. Use a soft-bristled toothbrush to brush your dentures every day. Be sure to to use a non-abrasive denture cleaner to avoid damaging your dentures. Soak your dentures overnight. Never let your dentures dry out; dentures need to maintain a certain level of moisture in order to maintain their shape and the integrity of the materials. Soak your dentures in water or a denture solution designed for overnight use. DO: place a towel underneath where you are handling your dentures. In addition to ensuring no water spills all over the place, the towel can also cushion the dentures should you accidentally drop them. 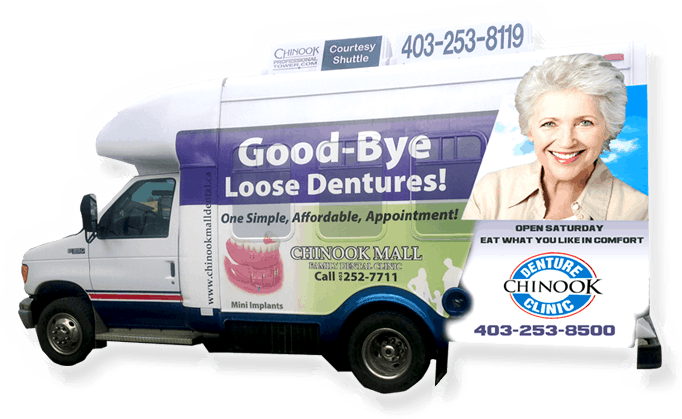 DO: rinse your dentures before putting them back in your mouth, especially if they were soaking in a denture solution. DON’T: use hot water to wash or rinse your dentures. Hot water may warp the materials, affecting the fit and integrity of the denture. DON’T: use an abrasive cleaning product, such as toothpaste, to clean your dentures. This may damage the materials, affect their fitment, or break them entirely. Oral hygiene is very important. Taking care of your mouth, including tongue, gums, and palate (roof) is an important part of your overall well being. It can be tempting to relax on certain hygiene items, especially if you are tired or lethargic. We encourage you to do your best in making your oral hygiene and denture cleanliness a priority.